The invoice price & true dealer cost are not the same. The true dealer cost of a Ford Taurus is lower. 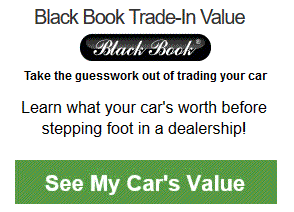 Note: The Ford Taurus pricing report below does not include rebates or incentives. View Ford Rebates and Incentives. Ford Taurus Prices - How Much is a Ford Taurus? The Taurus is one of those brand names that just about everyone has heard of before. Most of that good press comes down to a history of good deeds. However, the 2019 Ford Taurus hasn't seen any updates in a while, besides a new exterior in 2013 and a new infotainment system in 2016. Still, the Taurus continues to entice buyers for several reasons. It provides a comfortable ride, even when you get the sporty SHO version, which has bigger wheels and a tuned suspension. The ride is also quiet with easy exit and entry, and the cabin materials are high quality. Buyers also love the Sync 3 system, which has an intuitive upgrade from previous versions. Unfortunately, there are several drawbacks associated with the 2019 Ford Taurus. For example, even though it looks big, the Taurus is narrow on the inside, and especially so in the rear. There also isn't as much headroom, nor any legroom for that matter. The driver also has a strangely tall seat even at the low position, forcing you to look down through the window. Ford also removed some features available in previous years, which is a strange decision overall. That said, the Taurus isn't a bad car by any means, but it's outclassed in nearly every which way. 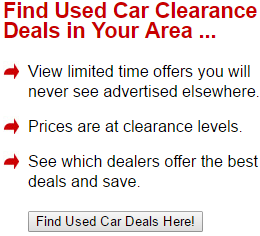 It's the best choice if you're seeking a low-cost American-made sedan. The 2019 Ford Taurus is part of the sixth 2010 generation released by Ford. It doesn't have any upgrades. Instead, it loses features. You can no longer get the power rear sunshade or the power-adjustable steering wheel. The 2019 Ford Taurus is a relatively inexpensive sedan that has an average number of features for its segment. Compared to competitors, the Taurus costs thousands less, but it indeed shows in the cabin materials. At the top of the range is the SHO, and it's the only real trim worth looking into. Otherwise, you're looking at a slow ride. Capable of seating five, the 2019 Ford Taurus comes in four trim choices: SE, SEL, Limited, and SHO. At the base, you'll find a decent amount of equipment, but much of it is outdated at this point. That makes it worth looking forward towards the SEL instead to get puddle lamps and rear parking sensors, among other features. The leap to Limited costs much more money since it comes with the SEL's optional features, and then some. The SHO is its own class, adding a sport suspension and a powerful V6 to most of the elements from the Limited. The SE can generate 288 horses and 254 pound-feet coupled to its six-speed auto. Along with 18-inch alloy wheels and six-way power-adjustable front seats, some of the most exciting features include 60/40 folding rear backseats, an exterior keyless keypad, and a rearview camera. Technology bonuses include a six-speaker sound system with two USB ports, Sync voice controls, and Bluetooth connectivity. Upgrading to the SEL will give you heated mirrors, LED daytime lights, two-zone climate control, and satellite radio. Luxury upgrades include a leather steering wheel, upgraded cloth upholstery, and better cabin materials. Going for the more expensive Limited gives you 19-inch alloy wheels, leather upholstery, automatic wipers, and ventilated 10-way front seats. There are additional safety features available here as well, like blind-spot monitoring and a rear cross-traffic alert system. Finally, you can upgrade to the top-tier SHO trim, which features the majority of the equipment from the Limited and adds more. For example, you'll get exclusive 20-inch wheels, a 3.5L turbo V6 engine, a rear spoiler, and all-wheel drive. Together, these generate 365 horses and 350 pound-feet. The SHO Performance package offers quicker acceleration and simulated suede on the steering wheel. If Ford didn't try to sell its top-tier trim as an SHO, the 2019 Taurus would have a decent balance of drivability, braking, and power. Compared to other SHOs, though, it's flat with delicate handling and no steering feedback. Whether you're already going or are starting from zero, there's plenty of acceleration from which to draw. Still, the 3.5L V6 suffers from tall gearing, making it feel like a V8 from 20 years ago. It can reach 60 miles per hour in under 6 seconds, but then it drops all momentum. For daily driving, the brakes on the SHO work well. The pedals don't feel very firm, but the stops are still consistent and easy to maintain. From 60 miles per hour, panic stops take over 120 feet, which is poor. Thanks to thin rims, the Taurus wheels don't grip very well. The steering has a heft that should satisfy most drivers, but it isn't real feedback and won't help you judge how to turn the corners. Still, the Taurus isn't hard to steer in back neighborhood roads, as long as you are going at a slower pace. For a big car, the 2019 Ford Taurus SHO is fun, provided you're not trying to hit the redline. Up to a certain point, the Taurus stays composed with adequate grip, but you'll eventually run out of side support. Finally, the six-speed transmission feels very dated, but it's still intuitive to use. The Taurus would have benefitted from a shorter ratio, but the SHO is still a capable cruiser. Example: Base Ford Taurus invoice price + the dealer Invoice price of all the options + destination - Holdback = Total Dealer Cost. 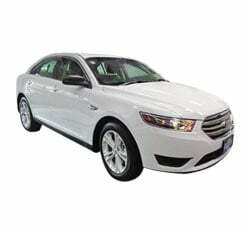 Note: All Ford Taurus MSRP, invoice and dealer cost dollar figures above are approximate amounts. Prices are subject to change without notice.